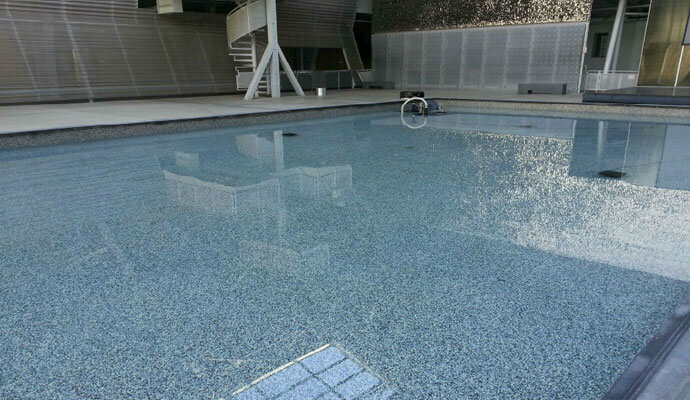 25 of years experience, quality workmanship, long lasting results. Protects building interiors from suffering water damage due to leakage through roofs and overhead decks, balconies, and walkways. Prevents or stops the development of below grade structural corrosion in foundation and retaining walls, concrete slabs, and footings. Proud member of the Community Association Institute. Since 1986, Tuff Kote Systems has worked closely with countless numbers of homeowners associations throughout Orange County and the greater Los Angeles area when diagnosing and resolving moisture problems in homes and residential communities. We have decades of experience in installing our state of the art waterproofing systems in compliance with all applicable homeowners associations' CC&Rs, and our highly-skilled, experienced technicians observe only the highest standards of professionalism in their work and their conduct while on the jobsite. 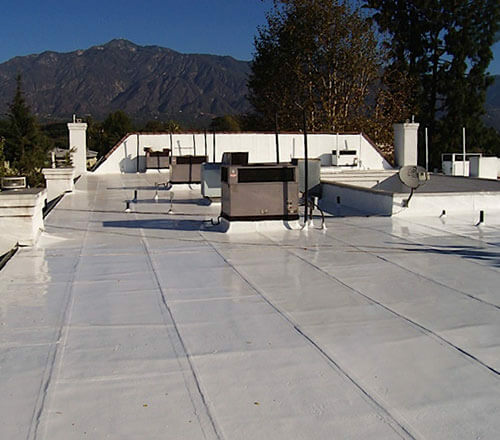 We offer waterproofing systems for both above grade and below grade applications, working in conjunction with our general contracting division, General Contracting Group, and pride ourselves on our ability to pinpoint and cure even the most complicated moisture problems which occur in residential structures. Roof leaks and leaks through decks, balconies, and walkways built on top of residential structures can lead to significant water damage within these living spaces, and cause the need for costly interior repairs to be performed. And at the base of residential structures, groundwater and surface water can cause corrosive damage to below grade foundation and retaining walls, footings, and concrete slabs, degrading these crucial structural support members over time and causing concrete spalling, the corrosion of structural steel, and even structural settlement and the formation of cracks in residential structures. Poor landscape grading and poor drainage system design is often a factor in the development of these problems, and proper waterproofing can usually alleviate the potential for further property damage in these situations. Also, another problem which can be prevented by below grade waterproofing is the development of mold and mildew within the envelopes of residential buildings whose below grade foundation elements are habitually exposed to excessive amounts of groundwater and surface water, precluding the structural damage and indoor air quality problems this mold and mildew can cause. Call the waterproofing experts at Tuff Kote Systems today, and resolve above grade and below grade moisture problems before they can lead to structural damage in your home or residential community. We provide estimates to all of Orange County and the greater Los Angeles region, and accept Mastercard, Visa, American Express, and checks. Tuff Kote Systems is a proud member of the Community Association Institute, and is licensed, bonded, and insured.